We’d love your help. Let us know what’s wrong with this preview of Beasts of Extraordinary Circumstance by Ruth Emmie Lang. That tornado was the first of many strange events that seem to follow Weylyn from town to town, although he doesn’t Orphaned, raised by wolves, and the proud owner of a horned pig named Merlin, Weylyn Grey knew he wasn’t like other people. But when he single-handedly stopped that tornado on a stormy Christmas day in Oklahoma, he realized just how different he actually was. To ask other readers questions about Beasts of Extraordinary Circumstance, please sign up. I just finished this book, but is this really "magical realism" or has the term just evolved or been used loosely over time. Because it's not "realism" either. We wouldn't describe a fairytale as magical realism. I'm not a snob! I just get a bit confused because I hear different things. Anyway, I would consider this contemporary/literary fantasy at best. What do you think? Is this a book that would be good for teen to read? Thank you! Arielle Definitely appropriate for teens. Beautifully written with tons of magic and heart! This story was a warm hug and made me want to step out into nature and embrace all its magic and natural wonders. From the second we meet Weylyn we can tell he’s different, but his distinct peculiarities are what make him special. He can somehow summon the power to alter weather conditions and has the unique ability to communicate with animals. Having lost his parents at a young age, Weylyn ended up being raised by wolves and has a potent connection with nature. As one would expect, this sort of lifestyle leaves Weylyn highly undomesticated, but in the most endearing way imaginable. He doesn't put on a show, even though he’s quite capable of one, and there’s not a chance your heart won’t warm to his genuine innocence and humble nature as it pays tribute to the power of kindness. This book is written in a good old-fashioned storytelling kind of style; a true “Once Upon A Time” tale that will make you abandon all suspicion and grab hold of your belief in magic and endless possibility—something that comes so easily in our youth. The plot is delivered in first person narratives and just about every major character gets a turn at their own perspective. We get inside everyone’s mind and learn how each of them views the curious case of Weylyn. With all of these incredible ideas at play, I felt that some more depth would have helped to back them up, and I sometimes wished the story dug a bit deeper into the mystery behind the magic. However, even that didn’t cause the story to feel like it was “lacking”—but as though a bit more could have been added. And, as my good friend Norma pointed out, not every mystery is meant to be solved. This was a gentle read, and certainly a fantastic one, with expert prose and breathtaking imagery, and I’d highly recommend to fans of magical realism and great storytelling! ▪ Characters: Solid, well-constructed cast of lovable characters. ▪ Plot: Spans decades, following a young orphaned boy with certain magical “powers” into adulthood, spanning decades. ▪ Writing: Vivid and imaginative. Beautiful descriptions. ▪ POV: 1st Person Perspective: Various narrators. I LOVED this book so much! I stayed up late, reading into the wee hours because I couldn't bear to put the book down. I was saddened to turn the final page and find that I was done. I will genuinely miss these characters and the whimsical, magical world contained within the pages of this extraordinary story. This is not my typical kind of read and I'm so grateful that I opted to join in with a group read which motivated me to branch out of my reading comfort zone. This is a character driven story and the characters are the type that seep into your heart and burrow in - making a space for themselves for the longterm. "Weylyn is a mystery to me. A strange, intriguing, oddly charming mystery." The story centers around the extraordinary life of Weylyn Grey who was orphaned as a boy when his parents died in a blizzard. Weylyn was raised by wolves for some years. Having a strong connection to both nature and animals, the wolf pack becomes his family and the woods his home. Weylyn completely stole my heart! For someone who had endured such tragedy in his childhood he had such an amazing life. I don't want to give much away but I will say that I absolutely loved how he always ended up with people who needed him just as much as he needs them. Everyone he met, was touched in some way by having spent time with Weylyn. He is pure innocence & unspoiled goodness with a sprinkle of magic. "I feel like...before, I had one way of looking t things, and now, I have a million possibilities, and I get to choose." There were numerous characters in the story as it spanned almost 50 years of Wylen's life. Each section shared a special relationship/time in his life. Each was magical in its own way but my favorites were the relationships between Wylen and his foster sister, Lydia, and the relationship between Weylyn and Mary. They had such special bonds. Both of these women simply embraced Weylyn for who he was. They understood his restless need to roam and his desire to be both part of a family while also still being free. "Don't leave anything you can't come back to." I know I can come back here and I will be welcomed, and that brings me more comfort than anything else in this world." first of all, a million gratitudes to st. martins for sending me a copy of this book. it was on my radar as “looks like my kind of thing,” but i’ve been trying not to buy hardcovers, especially hardcovers by authors new to me, until wealth finds me, so when they offered this unto me, i was all a-squeal. i knew i would like it, but i didn’t expect to like it this much. it is in fact SO MUCH “my kind of thing” that i’m a little swoony. it’s magical realism, sure, but even more than that, it’s pure storytelling. which, no, thank you very much, is not what all authors do. in fact, very few have the knack for it, and this book has gone a long way towards filling the hole in my heart that appeared when donald harington died. it’s clear, direct, clean prose that’s not trying to be post- or post-post- or meta-anything, that’s not compensating for a lack of direction with literary gimmicks, that’s not fecund with self-importance or message or meaning, that doesn’t need to use words like “fecund” to show off. which is not to say that it’s simple or unambitious or anything like that - like i said, there aren’t many writers who can pull this off, because when you streamline and take away all the distractions to the reader, there’s less to hide behind. as any magician will tell you, it takes more skill to work clean but it’s a more impressive show. and make no mistake, this book is magical. as far as the plot goes, it’s about the life of weylyn grey, an orphaned boy raised by wolves who has a number of unusual abilities best summarized as “affecting the natural world.” he can create or prevent weather, communicate with animals (including his pet horned pig, merlin ♥), restore or regrow plants, etc. there’s no explanation about why he has these abilities, for which i am grateful, and it’s more like his presence inspires these occurrences, through some heightened connection to nature, which connection made itself known from the book’s opening chapter, also known to me as that time i was hooked. from. page. one. I have delivered over a thousand babies in my career, but one in particular stands out in my mind. Weylyn was by all outward appearances a healthy baby boy: eight pounds, two ounces, all the necessary parts accounted for, and a wail that could shatter good china. He fit perfectly in the crook of his mother's arm and watched her with one eye, carefully, as she was still a stranger to him. I would have forgotten all about this seemingly ordinary child if it hadn't been for the storm. The moment Weylyn took his first bewildered gulp of fresh air, it began to snow. Not just a few flurries, but buckets of the stuff, tumbling through the sky and belly flopping on the ground outside the hospital room window. By the time the nurses had him cleaned and swaddled, there was a good six inches on the ground. The child turned one eye on me, then opened the other like a backward wink. His irises were molten pools of solder that had not yet set, and for a moment I thought I could see a fire behind them, keeping them liquid. "He's a healthy baby boy," I told the mother, trying my best not to sound unnerved. Weylyn's eyes closed peacefully, and the snow melted almost as quickly as it had fallen, leaving shimmering gray puddles on the sidewalk below. that is how i like my writing to be; it’s fluid, vivid, lightly cadenced, it’s just meat falling off the bone. it’s hard to describe, but when it’s done right, i’m all thrills and flutters. and when it’s done right in a debut? well, i dunno - because it rarely happens. even harington’s first, Lightning Bug, wasn’t anywhere near him at his full powers, and to me, he’s the gold standard for this kind of magical american folkloristic writing. unlike harington’s invented town of stay more, arkansas, where magic and oddness was woven into the existence of the town and people, here weylyn stands alone, the gooey magical center around which the rest of the world remains ordinary. and it is this normal world who gets to tell his story - the novel is narrated by the people weylyn meets along his travels, some who become a sort of scattered surrogate family, relating their experiences with him throughout several different periods in his life in the brief pauses before he moves on again. One of the factors that helps transform a very good novel into a great one is memorable characters. And while I've read a lot of books this year and over the last several years that featured characters I couldn't quite get out of my mind, it's rare to find a character as special, as incredible as Weylyn Grey, the main character in Ruth Emmie Lang's terrific Beasts of Extraordinary Circumstance . "Weylyn doesn't quite fit into the world we're familiar with," Daddy said, choosing his wor 4.5 stars. "Weylyn doesn't quite fit into the world we're familiar with," Daddy said, choosing his words carefully. "He's a strange boy, but in a wonderful sort of way." Orphaned at a young age, Weylyn was raised by wolves—literally, he lived with a pack of wolves—and is more comfortable being with animals and living outdoors than following traditional social constraints. But that doesn't mean he doesn't get lonely, and when he meets 11-year-old Mary Penlore in the woods, and he saves her from being attacked by one of his wolves, Mary realizes that Weylyn is unlike anyone else she has ever met, and even then she realizes she needs him in her life, and in fact, is willing to run away from home and live among the wolves with him. The thing is, when Weylyn is around, interesting things happen. The weather seems to change dramatically, he can literally communicate with animals of all types, and he seems to be able to stop tornadoes and storms from happening. But at times, it also appears he might cause those things to happen. He can't explain it, and no one around him can either (if they actually believe what they see), but his biggest fear is somehow he'll cause harm to someone he cares about, so he's more willing to go it alone than hurt someone. "I've been called magic, but I wouldn't use that term exactly. I like to think of myself as always being in the right place at the right time, or the wrong place at the wrong time. Very rarely am I simply in an acceptable place at a generally convenient time." Beasts of Extraordinary Circumstance follows Weylyn through his life, as he makes his way across the country. It's a story told by those who got to know him, even for a short while, and feel the amazing impact he had on their lives. A family challenged by the decision to take young Weylyn in as a foster child, a teacher struggling with her own childlessness, a young mayor tired of living his life in his father's shadow, even a young boy who wants to believe magic is real—these are the people whose lives Weylyn touches. And as a touch point is Mary, whose life always bears the indelible impact of knowing him. This is one of those special books that requires you to suspend your disbelief, or simply believe that there are things in life that may seem impossible to grasp, but you just need to accept them. If magic, and communicating with animals, and causing strange phenomena to occur doesn't appeal to you, you'll probably not enjoy this book. But if you do, and you can just let yourself take a leap along with the characters, this is a story you'll marvel over. I was absolutely charmed by this book from start to finish. I loved nearly all of the characters and I loved Weylyn's relationships with the many people he met. One character remarked that Weylyn might be "too good for this world," but fortunately the world isn't quite as cruel to him as I feared it might be. I also worried that Lang might take the plot into melodramatic territory, and I was so pleased she steered clear of that. Lang is a fantastic storyteller, and her imagery and dialogue are so skilled, it's so hard to believe this is her debut novel. Books like this don't come along too often, so this is a special one to savor. I can't wait to see what Lang has up her sleeve in the future. I loved this story, the strangeness, the uniqueness. Sounds trite to say it struck a chord it me, but it did. The tenderness with which all the characters are treated, even those the most flawed. Non judgemental. Touching and honest. The difficulties those who are different have to fit into acceptable, supposedly normal categories. How they are seen by others, and the trouble they have trying to deny who they are, or what they can do. Of course, most people do not have Weylens particular talents but the struggle they go through are probably much the same. Weylen touches many lives, from a young boy, to a girl who is, well a kind of adopted sister, to a nephew who is in love with super powers and magic. He will change many, before he learns it is possible to find someone who will love him for just him, a journey that just might be worth taking. An unforgettable character. "I asked my father if he believed in magic, and he said he believed in possibilities.," Well, who is it with enough hubris to say that they understand everything in the world? Not me, but I do believe in possibilities, and would love to have a little of the magic of Weylen in my life. This was a Traveling Friends read that I almost missed participating in as I didn’t have myself a copy of this book but after popping into the first goal thread I knew that I had to rectify that immediately. The words magic, whimsical, and mysterious are definitely elements that I am attracted to so on my way to Amazon I went. 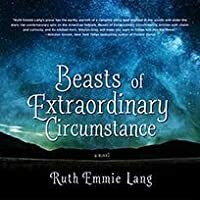 BEASTS OF EXTRAORDINARY CIRCUMSTANCE by RUTH EMMIE LANG is an engaging, charming, heartwarming, and a mesmerizing tale that gave me such a warm and serene feeling 4.5 Stars! BEASTS OF EXTRAORDINARY CIRCUMSTANCE by RUTH EMMIE LANG is an engaging, charming, heartwarming, and a mesmerizing tale that gave me such a warm and serene feeling while I was reading this book. I was totally entranced in this tale right from the very beginning which is about a young boy named Weylyn who was raised by wolves. RUTH EMMIE LANG delivers an absolutely beautifully written, appealing, and magical read here with a storyline that will bewitch you and enchanting characters that you won’t soon forget. Weylyn by far was such a special, endearing, and the most wonderful character that I have ever come across in a book. His innocence and sweet demeanour was so adorable and truly extraordinary. The way that we got to know Weylyn through the stories of everyone that he encountered throughout his life was such a clever and heartfelt way to truly and wholeheartedly embrace this character. The magical realism of this novel wasn’t really explained to us in too much depth and I would have liked that to have been explored a little bit more. But, with that being said I do absolutely believe that leaving us with a little bit of mystery and wonderment to the circumstances surrounding Weylyn’s extraordinary life was quite the clever and brilliant way to end this story. I was truly entertained & thoroughly enjoyed escaping into Weylyn’s extraordinary life every time I held this book in my hands! Would highly recommend! * Traveling Friends Read and a special thank you to my dear friend Kris for helping me figure out what made this book so mysteriously extraordinary! 5 Glorious, Heartfelt, Happy and Truly Magical Stars. Oh, how wonderful it is to read one final book in the year 2017 and have it be Ruth Emmie Lang’s “Beasts of Extraordinary Circumstance.” I loved this magical and altogether whimsical book with every fiber of my being and every breath that escapes me. My cup runneth over! Wevlyn Grey is a boy who is raised like no other. By wolves. He even calls one ma. His parents died in a snow storm, their car crashing and thereafter, he lived in the woods. 5 Glorious, Heartfelt, Happy and Truly Magical Stars. Wevlyn Grey is a boy who is raised like no other. By wolves. He even calls one ma. His parents died in a snow storm, their car crashing and thereafter, he lived in the woods. In some mystical way, Wevlyn Grey understand animals and his interaction with them is harmonious. One incredible day, he meets Mary and she recognizes how special Wevlyn is. He convinces her to run away with them. And amazingly enough, she does. As the years pass, Wevlyn meets a quite a few people. All of them notice that he is a different sort of man. After all, strange things happen when is around, he seems to have powers, so to speak. Rain and/or snow starts and stops, as do other weather phenomena. Wevlyn is a man who acts selflessly, yet his actions are at times viewed to be selfish. His behavior is different and therefore, he is feared. At those times, your heart breaks for this truly beautiful and genuine man, who doesn’t fit into the world as we know it. When these things happen, Wevlyn is terribly afraid of hurting people even though his impact on them is profound and soulful. Each person Wevlyn comes into contact with knows it – unfortunately he does not. There are, however, several people who do not give up on Wevlyn Grey, whose heart of gold, and magical spirit, have festered deep within, and they will do their best to fight for him and persevere. “Beasts of Extraordinary Circumstance” was one of my favorite reads of 2017. And what a read it was! It stole my heart and then some. I loved Wevlyn’s magical, whimsical personality, his kind heart, the sweet creatures he “spoke” to, and all of the people Wevlyn encountered, especially his step-sister Lydia, his foster mother Meg, Mayor Bobby, Gus and of course, Mary. I also adored Wevlyn’s relationship with Ma. What a wolf! The characters souls shined through like a bright light that zinged straight to my heart. This is a book that encapsulates all of the goodness of the literary world. “Beasts of Extraordinary Circumstance” contains magical realism and while it may require you to suspend a teeny tiny bit of belief, it is worth it: your heart will sing and you won’t be able to contain that smile that will simply come bursting forth. This phenomenal book by Ruth Emmie Lang is a must-read. I loved it with all of my heart and soul. I hope you will too. I read this book because of my GR friend Larry H’s absolutely stellar review. It moved me so much that I just knew I had to read this book. Over the last year, several of Larry’s reviews have made me want to read the books he reviewed (interestingly enough another was a book about magical realism “Himself” – which I also loved!). Thanks Larry! Keep them coming. This was a buddy read with Jan. We both really enjoyed this and I’m so glad we read it together! Thanks for reading it with me Jan. Happy 2018 my friend (and sister)! Published on Goodreads, Amazon, Twitter and Instagram on 1.1.18. This is - again - one of those books I was sure I would love but didn't. I enjoyed reading it but I just thought I would adore it. On paper it has everything I look for in books: whimsy, fairy-talesque writing, quirky characters with a human core, with a story spanning decades but something didn't quite click for me. This is Weylyn's story - an orphan raised by wolves, able to control the weather and speak with animals, a gentle soul with a heart of gold. This is also the story of the people whos This is - again - one of those books I was sure I would love but didn't. I enjoyed reading it but I just thought I would adore it. On paper it has everything I look for in books: whimsy, fairy-talesque writing, quirky characters with a human core, with a story spanning decades but something didn't quite click for me. This is Weylyn's story - an orphan raised by wolves, able to control the weather and speak with animals, a gentle soul with a heart of gold. This is also the story of the people whose lives he touched and changed and influenced. Somehow he is able to make other people better while at the same time being unable to find balance for himself. We only get glimpses of the man he becomes because while he is at the centre of this tale he is also elusive and hard to grasp. Some of the characters were absolutely brilliant: I adored his adopted sister Lydia and her refusal to be like her parents want her to be. Their sibling relationship was beautifully executed and I would have loved to spend more time with them together. I also thought Weylyn's first teacher, Meg Lowry, was a great character, hardworking and honest and so willing to do what's right. The least convincing part of the book for me was Weylyn. For some reason he never felt like a proper character but rather a puppet there to move the plot along - or to get other people to think. That made it difficult for me to care about the love story at the core of this book because I found the other characters way more interesting. As such I found the book worked best when it focussed less on Weylyn and more on the other characters and their lives and decisions. I adored the parts where characters were at a crossroad and had to decide between the easy path or the more difficult path that might lead to more happiness. These parts ran true and were engrossing to read and I wish we had seen more of that. First sentence: "I have delivered over a thousand babies in my career, but one in particular stands out in my mind." Weylyn Grey is an orphan boy raised by wolves whose talents include howling at the moon and controlling the weather. As a boy, his unique abilities are unwieldy; the same is true once he reaches adulthood. Startled by the strength and unpredictability of his power to manipulate nature, Weylyn abandons the woman he loves – fearful she’ll suffer unintentional harm in his presence – and wanders from town to town, touching the lives of everyone who crosses his path. The Beasts of Extraordinary Circu Weylyn Grey is an orphan boy raised by wolves whose talents include howling at the moon and controlling the weather. As a boy, his unique abilities are unwieldy; the same is true once he reaches adulthood. Startled by the strength and unpredictability of his power to manipulate nature, Weylyn abandons the woman he loves – fearful she’ll suffer unintentional harm in his presence – and wanders from town to town, touching the lives of everyone who crosses his path. Despite this intriguing introduction to Roarke, it soon becomes obvious that he’s merely a device used to present Weylyn Grey. Roarke fades from the story – only to return in infinitesimal stints – and the spotlight turns to Weylyn. Through first person narratives – all of which sound the same, be they the voice of an adult male our that of a young girl – the ways in which Weylyn affects the lives of the people he encounters on his travels are revealed. Unfortunately, each chapter lacks significant highs or lows. Most chapters start on a mundane note and end on an equally trivial note. Inane details clog the narrative and dialogue often feels contrived, but redundancy is the book’s greatest flaw. Significant hand-holding occurs as character emotions are blatantly explained even when their mood is already made evident through dialogue. Magical realism is the glue that binds The Beasts of Extraordinary Circumstance together. Were it not for the moments when Weylyn is surrounded by “a thousand fireflies, blinking gently like earthbound stars”* or speaking kindly to his magical pig, Merlin, à la Taran and Hen Wen from The Black Cauldron, the book would be little more than a string of uneventful narratives. Lang’s debut novel simmers with enormous potential but ultimately proves ineffectual. *Note: All quotes are provided from an advance uncorrected proof. 5 magical stars to this story of Weylen Grey, who’s parents died when he was young, and he lived with wolves. Forgot to mention...,this is also a love story!! 5 magical stars to this story of Weylen Grey, who’s parents died when he was young, and he lived with wolves. 5 shining stars and a place on my 2017 favorites list! Every once in a while you come across a character in a book that grabs your heart and just won’t let go. For me, Weylyn is that character. Weylyn has made a lasting impression not only on everyone he meets in the pages of this novel, he’s made a lasting impression on me. What a perfect book to read at the end of a fantastic reading year. I read this as a buddy read with Susanne, which was a fantastic way to enjoy and discuss this wonderful b 5 shining stars and a place on my 2017 favorites list! What a perfect book to read at the end of a fantastic reading year. I read this as a buddy read with Susanne, which was a fantastic way to enjoy and discuss this wonderful book. Thank you Susanne! Weylyn Grey's story arc is the stuff of fairy tales. Orphaned and raised by wolves, he has magical powers, and struggles to fit into the world. The reader learns about Weylyn from the perspective of the characters he meets along the way. I normally dislike this method of storytelling, but in this book, it works, and it works beautifully. Weylyn is the glue that holds all the stories together. The descriptions of the places he visits are so beautiful I could envision being there. The magic is so well done it never felt out of place because, while it was fantastical, it was all grounded in the real world, with real characters. I’ve always had a soft spot for the lonely misfit, and Weylyn touched my heart. I loved his child-like wonder at the world, his appreciation for all the things that we often take for granted, his goodness of heart. And while he didn’t fit into society and was thought of as weird, he often didn’t care what people thought, and followed his instincts. But down deep he longed to fit in and live a “normal” life. But to me, it isn’t about him fitting in as much as it is about the people around him accepting him for who he is. Not surprisingly, most of the people who befriend and accept Weylyn are somewhat of an outcast themselves, or they are damaged in some way. Which is a lesson to ponder. While Weylyn makes a strong impact on the people he meets along the way, and changes their lives for the better, he doesn’t see it that way. He thinks his powers ruins people’s lives and to protect them, he must keep moving from place to place, never staying in a place for long, or finding a place to call home. Other's lives are changed but his losses only multiply. He doesn't see himself as deserving and worthy of what he wants most in the world. Can Weylyn open his heart to possibilities and find the courage to take the first step? The reader finally hears the story from Weylyn’s perspective in the last chapter, and what wonderful way to end the book it was. I closed the last page with a smile on my face and a warm feeling in my heart. The cover of this book is beautiful, and when I finished I realized the meaning of it and loved it even more. There are overt, and not so overt references to movies and books: To Kill A Mockingbird, White Fang, Charlotte’s Web, Dr. Doolittle, The Jungle Book, Harry Potter, and probably more that I’ve missed. I loved this nod to so many great books. Magical realism has not been my go-to genre, but I’ve recently discovered I like it quite a lot. Highly recommended for those who like charming, whimsical, magical, warm-hearted, character-driven novels. I wanted something light, whimsical, and I wanted magical realism. I wanted to clear my mind from a WW2 book and as I read through my massive TBR pile, this one jumped out at me. I mean, the title alone can draw you in. So I grabbed the audio and started it immediately. Weylyn Grey is a young child whose parents died and he is raised by and lives with wolves. But he's different. Beasts of Extraordinary Circumstance tells the entire life story of Weylyn Grey and it's told through the eyes many peo I wanted something light, whimsical, and I wanted magical realism. I wanted to clear my mind from a WW2 book and as I read through my massive TBR pile, this one jumped out at me. I mean, the title alone can draw you in. So I grabbed the audio and started it immediately. Weylyn Grey is a young child whose parents died and he is raised by and lives with wolves. But he's different. Beasts of Extraordinary Circumstance tells the entire life story of Weylyn Grey and it's told through the eyes many people who know him or cross paths with him. He has these abilities. He can talk to animals, he can control the weather, he can tug at your heart strings, and he can pretty much charm everyone he knows. Well, I guess I'm in the minority on this one as I found it just OK. A tad on the slow side I thought. Yes, Weylyn is a unique character but at times I thought he's been around living in the world for so long, he really shouldn't still be this naive. Some of the characters that move in and out of his life are good characters but nothing was really standing out for me. Some of the things that happened I felt were not fully developed or explained. I am a magical realism fan but I thought this was kinda light on it. Fantasy....still trying to figure that part out. Beasts of Extraordinary Circumstance reads almost like a fairy tale. It is magical and whimsical story about boy named Weylyn who was orphaned at an early age and raised by a pack of wolves. He has magical powers which make it difficult for him to fit into the world. He is such a lovable character. 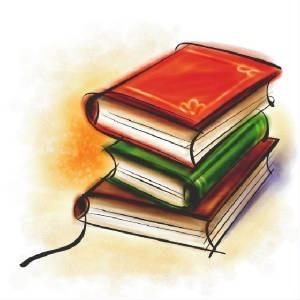 The book is narrated by multiple characters, each telling a story of Weylyn crossing paths in their lives; weaving together the life of Weylyn Grey. It is a beautiful, charming story, full of uniqueness, love, magic, and possibilities. My name is Weylen Grey, and I'm near-sighted, allergic to ragweed, and my feet are flat. I can't cast spells, I don't grant wishes, and I'm not sure if I can turn a frog into a prince, but I have no intention of finding out. Some people like to think I can affect the weather, but I'd still recommend a a good, old-fashioned umbrella for keeping the rain off. It's also been said that I can talk to animals, but if you want me to teach your dog to speak English, I'm sorry. You're out of luck." The m My name is Weylen Grey, and I'm near-sighted, allergic to ragweed, and my feet are flat. I can't cast spells, I don't grant wishes, and I'm not sure if I can turn a frog into a prince, but I have no intention of finding out. Some people like to think I can affect the weather, but I'd still recommend a a good, old-fashioned umbrella for keeping the rain off. It's also been said that I can talk to animals, but if you want me to teach your dog to speak English, I'm sorry. You're out of luck." The moment I read Renee's review, I knew I had to read Beasts of Extraordinary Circumstance. Fantasy/magical realism is not one of my usual genres but since reading such beautifully written books as The Bear and The Nightingale, The Girl in the Tower, and When the Moon Was Ours, I've been much more open to it. I've always been fascinated by stories of children who are raised by wolves. There's just something so compelling about the notion of a child being raised without exposure to the often selfish and misguided values of humans. There's such beauty in the simple and authentic ways of the pack. These stories always conjure somewhat romantic notions of pure family relationships, friendships, and living in harmony with nature. The story is told from alternating perspectives of the characters central to Weylen's life from childhood to old age. I loved his supporting cast. They were supporting in the sense that they helped to carry the story but more importantly in the sense they supported Weylen himself. So often in books with gifted or "different" protagonists, we see the character become isolated and lonely as a result of rejection. Though Weylen certainly faced some social obstacles, he had a beautiful support network to nurture and love him. As for Weylen himself, he was a character to love. There were times when my heart broke as he struggled with living with his own powers and differences. The sense of strength he conveyed tempered with humility and gentleness endeared him to me to no end. I won't comment on the plot. The blurb tells you all you need to know. This is a book to begin with as little outside influence as possible. All you need is an open heart and mind. It's very difficult to believe Beasts of Extraordinary Circumstance is Ruth Emmie Lang's debut. Her writing is both mature and easy to read; sophisticated without being pretentious or overly flowery. It's rare to find a book that can really tug at your heartstring while being hopeful and refreshing at the same time. That is where this book really shines. Weylyn Grey is an utterly delightful protagonist: it is very hard not to fall in love with him. We meet Weylyn when he is ten year’s old and living among a pack of wolves. He is certainly different from everyone else in this regard, but he also can control the weather – like extreme weather – but doesn’t realize it. (Oh and animals also love him, kind of like Dr. Doolittle but not in an over the top silly way, but one that works within this book). As he grows older and becomes more aware of his effect on his surroundings he withdraws. Flash forward to present day and Weylyn befriends Roarke (a neighborhood daredevil) and while enjoying Roarke’s company Weylyn shares his own stories of adventure. These stories are split into 5 sections of the book (plus a section for present day); each section’s chapters alternate perspectives between that narrative’s set of characters. The chapters move very quickly as they are short and you can get through a large chunk of this book in one sitting. You will not want to put this book down until you find out what ultimately happens to Weylyn as you feel so invested in his story. Author, Ruth Emmie Lang, did a wonderful job at crafting unique, lovable characters (some not so lovable, but that was the point – you will know who I mean…she stinks! ); this story of love and acceptance was beautifully written. I will get straight to the point-- I adored this book. As soon as I finished, I wanted to give it a big five-star hug. Beasts of Extraordinary Circumstance is the story of Weylyn Grey and the people he encounters throughout his interesting life. Weylyn is a unique and special character, leaving quite a lasting impression on the lives of everyone around him. This is a light, fun read full of adventure and *possibilities*. With likable characters that will make you smile, t 5 simply darling stars! This is a light, fun read full of adventure and *possibilities*. With likable characters that will make you smile, this fantastical book captures the heart. And huge props to Ruth Emmie Lang for tackling the difficult task of multiple characters/narrators in this book. Each voice offers a special part of this story, and not once did I feel confused or distracted. This is definitely a book I would go back and read again down the road. I look forward to revisiting it someday. **Another great group read with the Traveling Sisters/Friends!! We all enjoyed this special book! At first, I thought this novel was going to be four stars—it’s well-written and unique; but it started slowing down towards the middle/end, and (strangely) I wanted it to end already, which is never a good sign for a book-lover. There was a lot going on with the plot. From all the sub-plots to the main-plot, there was never a dull moment. So this was a good thing; I never felt bored. I also enjoyed how even though there were multiple sub-plots, the main storyline followed Weylyn and his magical travels with his pet pig, Merlin. Weylyn (a.k.a. wolf boy) is amazing! He’s such a sweetheart. So is Mary and Lydia. Honestly, I enjoyed all of the characters throughout the story. They were believable and flawed and different—no two felt the same. Very solid. Some parts were better than others, but isn’t that normal? Regardless, I never had issues with the writing. Overall, I’m surprised that this book suddenly lost steam toward the end; I really enjoyed the beginning and middle, so to get towards the end with the thought of, “I just want this to be over!” was odd. Would I Recommend and To Whom? What an enchanting debut by author Ruth Emmie Lang. LOVED following the path of Weylyn, a unique boy raised by wolves, a mesmerizing character who touches the lives of numerous people. His character drew me in from the get-go. His rawness and honesty, the magical things that happen on the unexpected journey and the charge in atmosphere whenever he is around made me believe. I wanted to travel into the woods with him. Thanks to St. Martin's Press for the ARC in exchange for an honest review. Beasts of Extraordinary Circumstance follows the life of Weylyn Grey, from childhood through adulthood and beyond. It’s a powerful story filled with kindness, love and magic. A story about how one person can influence the lives of so many. I can’t even begin to describe how much I loved Weylyn, he is so selfless that it hurts. It’s tragic and beautiful at the same time, every time you see him helping people you can’t help but feel good, but at the same time you realize that the one person that n Beasts of Extraordinary Circumstance follows the life of Weylyn Grey, from childhood through adulthood and beyond. It’s a powerful story filled with kindness, love and magic. A story about how one person can influence the lives of so many. I can’t even begin to describe how much I loved Weylyn, he is so selfless that it hurts. It’s tragic and beautiful at the same time, every time you see him helping people you can’t help but feel good, but at the same time you realize that the one person that needs help the most is him. The whole book is in fact filled with the perfect balance of happiness and sadness, it feels like life. As a matter of fact, it only takes about 50 pages for it to pull the punches. I think it’s a new record for me, it usually takes a lot of build up to make me invested enough in the characters and the story before I become emotional. Not with this one, I was crying and feeling so many things right from the start and that was the moment when I realized that this is indeed something special and magical. Through his life, Weylyn Grey will encounter many people. In fact, it is through the eyes of others that we get to meet and know him. This is where Ruth Emmie Lang stands out, characters come and go but in the short time that we get to spend with them, they manage to make more of an impression than other characters do in an entire book. It only takes one chapter and it will be enough to make you fall in love with the characters that the author created. It’s not only people, some of the most lovable and memorable characters are actually animals, from wolves to pigs and even bees, Weylyn’s companions come in all forms and shapes. It’s tough to write about this book, the more I love a book, the harder it is for me to gather my thoughts, especially when the only thing I can think about are the feelings that I experienced while reading it. How could I put those feelings into words, I’m not a writer, I’m not that good with words but I think I know someone who is. If you want to experience an immersive and magical journey with characters that almost pop out of the book, you should read this. I don’t think you’ll regret it. There are hints of many classic novels in this, including The Wizard of Oz and The Chronicles of Prydain series, with its depiction of a plucky young hero and a trusted sidekick. But Weylyn is slightly different from these characters, as Weylyn can control the weather. And bring plants back to life. And talk to animals. From the moment he was born, sprinkling the doctor with snow, he's been special. After the accidental death of his I received a copy of this book in exchange for an honest review. There are hints of many classic novels in this, including The Wizard of Oz and The Chronicles of Prydain series, with its depiction of a plucky young hero and a trusted sidekick. But Weylyn is slightly different from these characters, as Weylyn can control the weather. And bring plants back to life. And talk to animals. From the moment he was born, sprinkling the doctor with snow, he's been special. After the accidental death of his parents, Weylyn is left to survive with a pack of wolves. And then he meets Mary. This reads a bit like a modern day fairy tale. It's full of magic, wonder and adventure. I liked the descriptions of the various weather events, ranging from snowstorms and rain, and I felt the magical aspects of the tale were woven together well into the story. It never felt overly 'fantasy', and kept itself grounded in realism. The characters Weylyn meets are vastly varied - including a pack of wolves and a talking pig. However, I felt aside from Mary, they were rather woefully underdeveloped with no depth or dimension to them. I also didn't really connect with Weylyn himself. Perhaps this is because we don't hear from him directly, as the story is told from these characters he comes into contact with rather than himself. I would have preferred to have had a few chapters from Weylyn's perspective to gain some kind of emotional attachment to him, and get to know him better at the sacrifice of some of the many characters. However, that said I like the interesting way the author told the story through these 'bystanders' as opposed to the main character - it showed the story in a rather unique way. Perhaps this would have worked better if there were fewer narrators which were more 'fleshed out'. I also found the plot a little lacking in direction. Although we see, essentially, Wenlyn on a journey to self-acceptance and a 'home' to call his own, I found myself wondering - what's the point? A short read, that would have been better if longer and the characters more developed. But I liked the ideas, the imagination, and the memories it invoked. I received an ARC of this book from the publisher/author after I requested it as a Goodreads Giveaway. I wasn't sure what I would think about this book because I don't always like fantastical elements but I found it charming and well-written, with several characters living unusual lives. A boy named Weylyn who lived with wolves, friends Mary and Lydia who influence his life in different moments, and a special pig who might have the ability to control the weather. I liked the changing perspectives I received an ARC of this book from the publisher/author after I requested it as a Goodreads Giveaway. 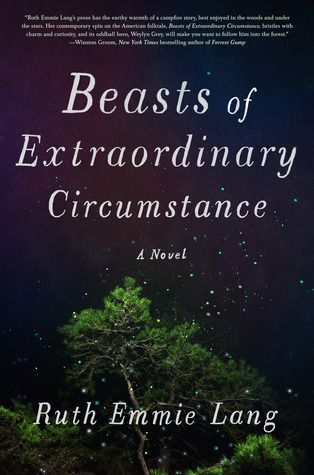 I won a copy of Beasts of Extraordinary Circumstance in a Goodreads Giveaway. A boy is born and when he takes his first breath, snow begins to fall. It’s not a delicate snowfall but more like a sudden, blinding blizzard. The infant open his eyes, looks around and when he closes his eyes to rest, the snow stops and melts immediately. What’s even more strange about this unexpected and brief snow storm? It’s the end of June. This is our introduction to Weylyn Grey. Weylyn is one of the most unique, charming and intriguing characters I’ve ever encountered. Orphaned at a young age, he is raised by a pack of wolves and later gains a "magical" pig named Merlin as his constant companion. His story is told mainly by the people he encounters during his life. Some are friends while most are strangers, each relating a tale about the effect that Weylyn has had on his or her life. Many only have one unusual tale to tell but others, like Mary Penlore, a girl he meets when they are both children, come in and out of Weylyn’s life many times over the years. These stories are full of a magical vibe, endearing characters and a sense of wonder. The book follows Weylyn throughout his life and across the country. Mystery and curious events seem to follow Weylyn everywhere he goes. 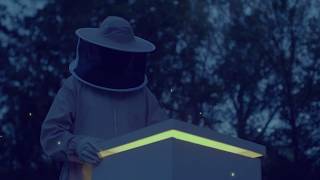 He seemingly can manipulate weather and has a connection to animals that could rival Dr. Doolittle’s. More at ease in nature and with animals, Weylyn continually struggles to form lasting attachments to people. Most think he’s weird and only a few manage to get through his walls and maintain some type of a relationship with him. While Weylyn is mostly portrayed as a positive person, he is often lonely and you really feel for him. That said, the book is never maudlin. Though Weylyn meets and helps many people during his life, his story always comes back to Mary Penlore. I really enjoyed Beasts of Extraordinary Circumstance. Ruth Emmie Lang’s debut novel is imaginative, beautifully written and wonderfully accomplished. So much love went into writing it. There are so many lovely moments and it reminds me of some of Alice Hoffman’s earlier works. I think it’s definitely worth a read if you are a fan of magic realism. I look forward to watching Lang grow as a writer and I eagerly await her next book. Even sweeter the second time. And I was right...it is better when uninterrupted by adulthood! I loved getting reacquainted with all the characters (especially Weylyn). This is such a beautifully written story and the author's passion for her characters leaps off the pages. Read this book if you enjoy well written stories that give you feels!!! I immediately fell in love with this book!!! The story, the characters, the scenery were all just so wonderful! Since I started reading this book during a work week instead of on a day off I reluctantly had to pause my progress several times to go be an adult. Sadface. As a result I feel I was cheated out of how much more amazing this book would be if I had been able to get lost in it with no interruptions. I loved it so much that as soon as I conquer my stack of unread ARC's I am going to revisit it.....on a day off.....with nothing to disturb me.....in a marathon reading session. Imagine my surprise when I found out this was the author’s first publication. What a way to introduce yourself! This was such a magical story. I don't read a whole lot of magical realism but it seems that I love them when I do read them. I am not sure that this book would work for every reader since there are a whole lot of strange occurrences but it worked well for me and I am so happy that I decided to pick it up. This book tells the story of Weylyn Grey. We don't learn his story from Weylyn. Instead, we learn about him in different points in This review can also be found at Carole's Random Life in Books. This book tells the story of Weylyn Grey. We don't learn his story from Weylyn. Instead, we learn about him in different points in time from others that are close to him. We see Weylyn as others see him and learn all of the incredible things that play a part in his life. Each section of the book shares a very vivid snapshot of this wonderful character. Weylyn lives a life unlike anyone else. He is different in a lot of ways. He has a certain innocence throughout the book and it is hard not to fall in love with him. I also really liked the characters in the story that shared Weylyn's story. These characters grew and changed over the course of the book and seemed to be positively changed through their association with Weylyn. There is a bit of magic on nearly every page of this charming story. This was a strange book in a lot of ways but it was strange in the best way possible. There are so many strange things associated with Weylyn and his life that I never knew what to expect. I quickly learned not to even try to guess what Weylyn would do next and just sat back and enjoyed the journey. I would highly recommend this book to fans of magical realism. I found this book to be a wonderful story filled with magic. I am very impressed by Ruth Emmie Lang's debut novel and can't wait to read more of her work in the future. I received an advance reader copy of this book from St. Martin's Press via NetGalley. This wonderful, whimsical, warm-hearted novel is filled with subtle and not-so-subtle nods to the books I loved as a child. White Fang, The Jungle Book, The Wizard of Oz, Charlotte’s Web, and even Lord of the Rings—they’re all in there. Reading Beasts of Extraordinary Circumstance made me I realize that there’s nothing better than a novel that feels both new and familiar at the same time. Beasts follows the lovable Weylen Grey, a lone wolf (pun intended), whose life is the stuff of fairy tales: his parents die in a blizzard, he was raised by wolves, he struggles with a foster family, meets a magic pig, stops a tornado, struggles to fit into society, and wanders the country on all sorts of grand adventures. And, he falls love. This story defies all meteorological, botanical, and geographical laws. Thunderstorms and blizzards show up seemingly out of nowhere, forests grow overnight, and wild animals seem to be able to communicate with humans. It’s both a fairy tale and a love story, but love and affection seems to envelop so many different things: the natural world, a family, a partner, and the unexpected joys of navigating life’s ups and downs. Reading this book is so comfortable and uplifting, you almost feel as if you could conjure a herd of fireflies to get through a power outage, or a field of daffodils to celebrate a loved one’s birthday. Beasts is exactly the book I needed right now, and it made me so happy I wanted to howl at the moon. Loved it! Nu m-am putut opri din citit, e o carte atât de caldă și luminoasă, cu oameni buni și frumoși care încearcă să accepte în rândurile lor un băiat deosebit. Weylyn e o persoană minunată, sincer până la extrem și care își caută un loc într-o societate pe care nu o înțelege întru totul. Extraordinar scrisă, cu niște personaje pe care nu poți să nu le iubești. O recomand cu drag oricui vrea să citească o poveste frumoasă despre un om magic. Am scris mai multe detalii în recenzia mea de pe bl Loved it! Nu m-am putut opri din citit, e o carte atât de caldă și luminoasă, cu oameni buni și frumoși care încearcă să accepte în rândurile lor un băiat deosebit. Weylyn e o persoană minunată, sincer până la extrem și care își caută un loc într-o societate pe care nu o înțelege întru totul. Beasts of Extraordinary Circumstance attracted me as soon as I saw the beautiful cover. Although the beginning was a little bit slow, it was beautifully written and reminded me slightly of The Bear and the Nightingale, with its exploration of love, loss and family. It was a short read, but thoroughly enjoyable and is definitely perfect for cuddling up next to a fire with a blanket as you explore the magic that is Weylyn Grey. Ruth Emmie Lang’s “Beasts of Extraordinary Circumstance” is an extraordinary, beautifully written debut novel about adventure, love, courage, nature, and wonder! I give this novel a solid five stars, it’s perfection. Choosing best books of second-half of 2018 is going to be even more difficult than the first-half. As a nature lover, one of things I loved about this novel is that the author’s love of nature & magic (and animal) is keenly felt through her beautiful, vivid writing. It’s so magical & oh so atmospheric, it’s like I was transported to a whole new world. I did not think I was going to love it as much as I did, but this is one of those books the majority of positive reviews were right. I am SO, SO glad I gave this novel a chance! Orphaned Weylen Grey, raised by wolves, and the proud owner of a horned pig named Merlin is unlike any other people you’ll meet. Not only he single-handedly stopped a tornado, strange events seem to follow him from town to town. Told from perspectives of those who knew & loved him, and for most of the people who comes in contact with him, it’s brief; but he leaves each of them with an unforgettable & unbelievable story to tell and makes an impact in their lives. Raised by the wolves in the wilderness, Weylen knows that he’s special & different, and it takes him nearly 50 years on and off to finally come around to the love of his life, Mary, whom he thought he was a danger to. A lovely character driven story, with a nice mix of literary fiction and light magical realism. Nothing too depressing except for one particularly sad event early in the story, so it's good choice if you're in the mood for something on the lighter side. I've been called magic, but I wouldn't use that term exactly. I like to think of myself as always being in the right place at the right time, or the wrong place at the wrong time. Very rarely am I simply in an acceptable place at a generally conve A lovely character driven story, with a nice mix of literary fiction and light magical realism. Nothing too depressing except for one particularly sad event early in the story, so it's good choice if you're in the mood for something on the lighter side. Ruth Emmie Lang was born in Glasgow, Scotland and has the red hair to prove it. When she was four years old, she immigrated to Ohio where she has lived for the last 29 years. She has since lost her Scottish accent, but still has the hair. Her first novel, BEASTS OF EXTRAORDINARY CIRCUMSTANCE, was a finalist for the 2017 Book of the Year Award from Book of the Month Club, and was a Target Book Club Ruth Emmie Lang was born in Glasgow, Scotland and has the red hair to prove it. When she was four years old, she immigrated to Ohio where she has lived for the last 29 years. She has since lost her Scottish accent, but still has the hair. “Why do you do that?"